I am a USAT Level II (L2) and IRONMAN University Certified Coach with over 20 years experience working with endurance athletes. I offer endurance (triathlon, duathlon, running, cycling, swimming, nutrition and strength training) training, event specific plans and basic to elite coaching plans which include a coaching consultation to solidify the goals and of objective of the athlete and their training. I have a BS in Kinesiology and I am an American College of Sports Medicine Health and Fitness Instructor. 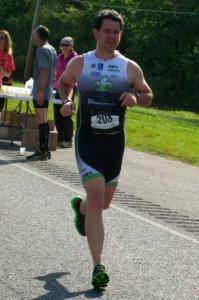 As a USAT Level II (L2) and IRONMAN University Certified coach, I have been coaching triathletes since 2000. I was an Assistant Coach for the 2008, Geel ITU Duathlon Long Course World Championship, Team USA. I also have over 20 years experience as a swim coach working with age groupers, collegiate, and masters swimmers. As an athlete, I have over 20 years of experience competiting in triathlons & duathlons on an international, national, regional, and local level. I was a member of TEAM USA for the 2006, Canberra ITU world long distance triathlon championships. Success. Coach Ben Elder has been notified of your message.